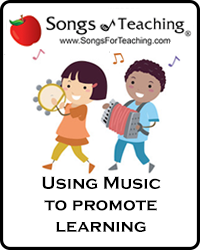 Making music with young children is a great way of combining creativity and fun with learning about global cultures. 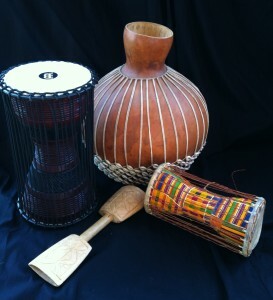 Whether you are quietly crafting, reading and researching or drumming and dancing, here are some simple instruments that can be a part of any study of the diverse and beautiful cultures of Africa. Different types of rattles can be found throughout Africa and the world. 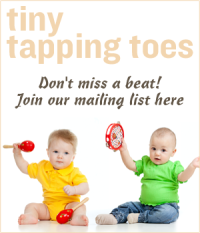 They are easy to hold and play for kids of all ages and almost all abilities. 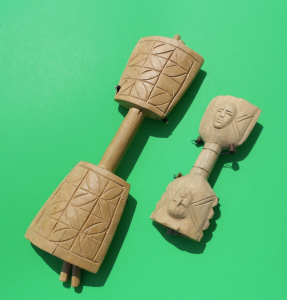 Here are three very different rattles from Africa – one that even can be seen in hieroglyphics that date back to ancient Egypt! All of these are perfect to be made and played by small hands! There are an astounding number of different drums and drumming traditions throughout Africa. Crafting a simple hand drum from recycled materials is a great place to start an exploration of drumming for very young children. In this unique and beautiful percussion instrument, the rattle is on the outside of the gourd. 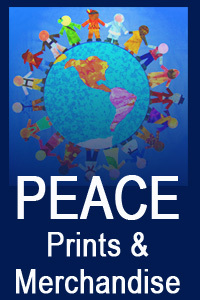 It can be shaken back and forth, tossed hand to hand or used like a ball in simple children’s musical games. To hear or color a shekere or find crafting instructions and simple activities, check out the links below. This entry was posted in African Music, Classroom Music, Early Learning With Music, Family Fun, First Instruments, Multicultural Music, Musical Crafts, Simple Instruments and tagged African Music, African music for kids, African rattles, caxixi, childrens music., children’s musical instruments, Daria, Daria Marmaluk-Hajioannou, Easiest Instruments For Children, Easy Instruments kids, Green crafts, green musical crafts, hand drum, kids crafts, kids musical crafts, playing music with young children, recycled materials, Simple Instruments Africa, Sistrum, tongue rattle, unusual percussion, world music with daria, young children and music. Bookmark the permalink. My daughter loves African instruments ever since she saw Sweet Honey in the Rock perform in concert. I think we’ll try making one of these instruments!